It's your moment of zen for the day. This is the Asian equivalent of the previously reviewed Tex Mex Trail Mix. They're similar in that they both have sesame sticks, they're both really dry, and they both have random nuts in them. But I personally prefer this one, because I love wasabi and wasabi peas. Peanuts wouldn't really have worked here, but the almonds and cashews blended in brilliantly. They added a meatiness to the trail mix that made it much more complete than it would have been sans nuts. Even the sesame sticks were a welcome addition, even though I complained about their presence in the Tex Mex Mix. I think sesame stuff just works with Asian food in general. It offsets the significant spiciness of the mix. And it's not just the wasabi peas that have some heat. The rice crackers seem to have a little kick to them as well. The rice crackers are somewhat smooth, and they have a unique texture that's hard to describe. They're crispy and crunchy, but also delicate in a way. They do taste like rice, but it's not a bland flavor at all. In terms of fat and calories, it's right in the middle of what we've seen so far with Archer Farms trail mixes. It's filling and easy to transport, but if you eat this stuff out on the trails, make sure you have extra water, because it'll make you hella thirsty. It's also the loudest trail mix we've ever reviewed. So don't be surprised if by eating it you scare away all the wildlife. Sonia is a big fan of this mix, too. 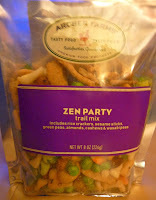 My family and I are OBSESSED with Zen Party Mix. We go through an entire large container of it in a day. On Black Friday, we went to Target and the only thing we bought was 5 containers of Zen Party Mix. I am disappointed in your 8 out of 10 star rating. In our opinion, this deserves an 11! I would have given it a 12 if it wasn't for those darn sesame sticks. Anyway, I'm just glad that you reviewed this product because I feel like most people don't even know that it exists. We need to raise more awareness about this product because it LITERALLY gives me and my family life. Wow! You must really like this stuff. Thanks for sharing your thoughts! 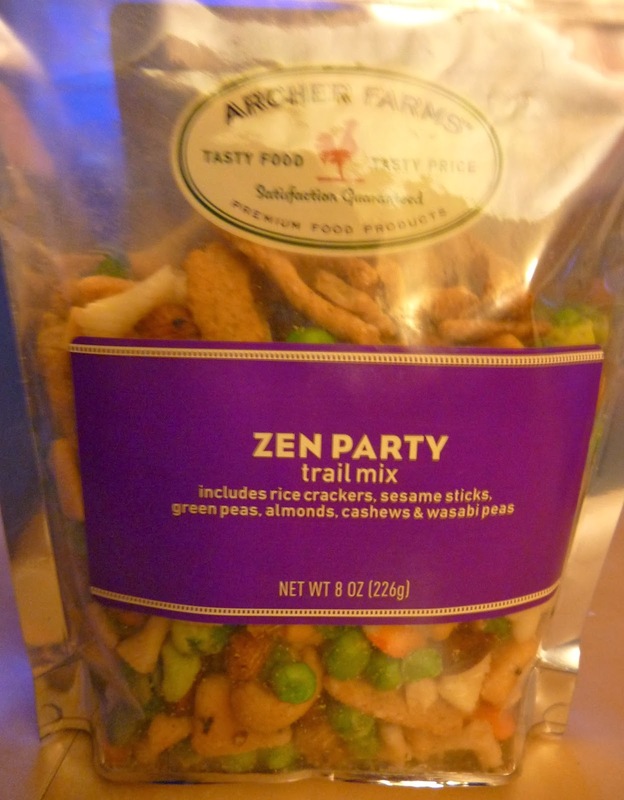 Archer Farms Zen Party Trail Mix. It is just awesome and I would like to host a DIY party for my daughter’s birthday so will be adding such items in the bash. Recently I am quite busy in finding the suitable garden inspired LA venues. Can you recommend any good spots?